Long Winters' Stare is a now disbanded Doom metal act that used to create ambient dark doomy music with neo-classical elements and lots of experimentation. Featuring a combination of of deep growls, chanted vocals and (on the last album) female vocals. Due to the weird vocal combinations and song structures, the music has rather an insane feel to it. After their second full length the band disbanded with it's two main members parting ways, stating artistic differences as their reason to breakup. Clint Listing has since then been busy with various solo projects included As All Die. Both members where involved in the record company that released their first full length: Dragonflight records. After the band disbanded Clint Listing became the full owner of the record company. Clint Listing had also been involved with the record company that released their first EP ('Cold Tale Eternal') Pantheon records. This record company went bankrupt shortly after release of the EP and as such the EP became very hard to track down. 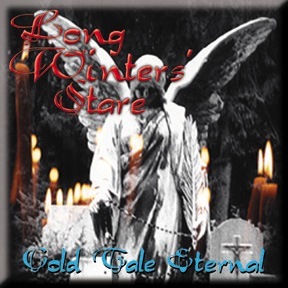 The first ep 'Cold Tale Eternal' features a Black Sabbath cover, the first full length features a Kansas cover. Both songs are hard to recognise at first. The Kansas cover actually fits in with the concept of the album; the rise and fall of Vlad the vampire. Pointless little trivia: Clint Listing was a close friend of one of the two owners of doom-metal.com. Because of this John of Doom-metal.com is featured as a guest vocalist on their last album.